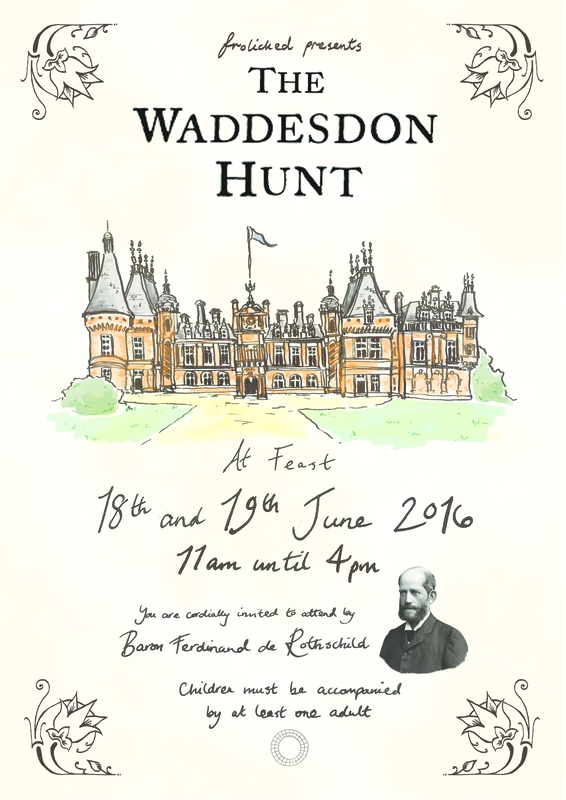 The Waddesdon Hunt was an illustrated performance piece by puppet theatre company, Frolicked, inspired by Baron Ferdinand de Rothschild, his sister Alice, Mimi the Mynah and the exquisite collections housed at Waddesdon Manor, a National Trust property run by the Rothschild Foundation. 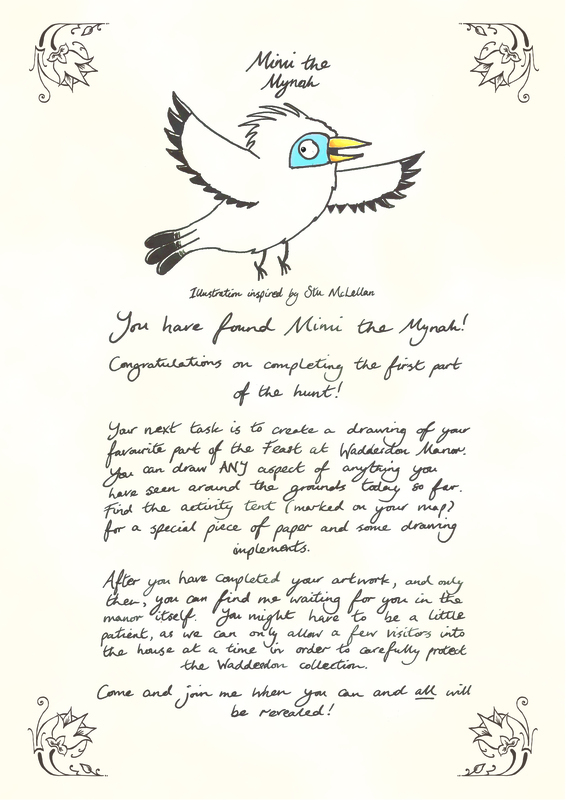 As well as guests getting the chance to interact with the head steward, Henry, the Baron himself, his sister and a very lively puppet version of Mimi the Mynah bird, participants were invited to complete a devilishly difficult treasure trail to find one of the Baron’s most prized possessions, The Book of Gold. 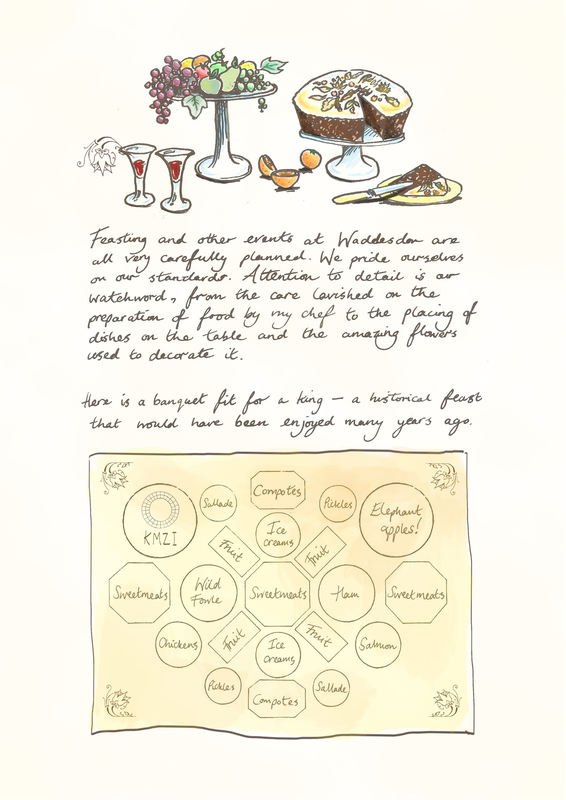 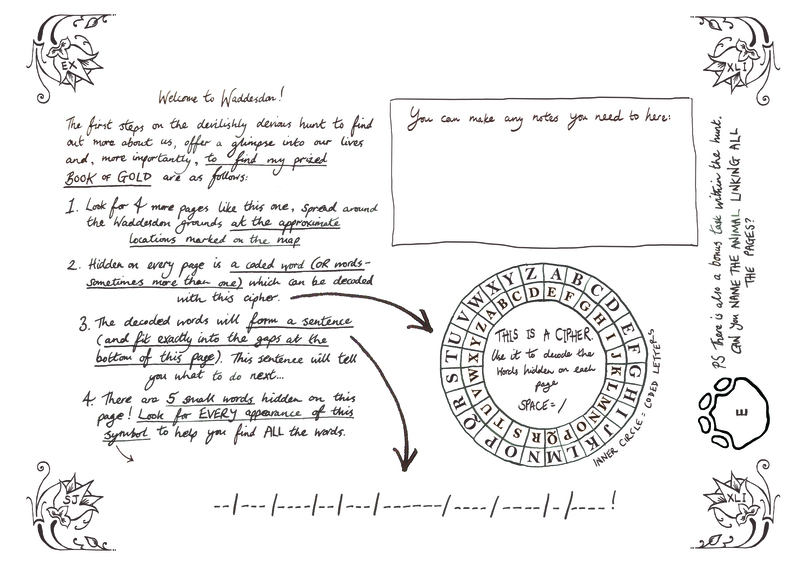 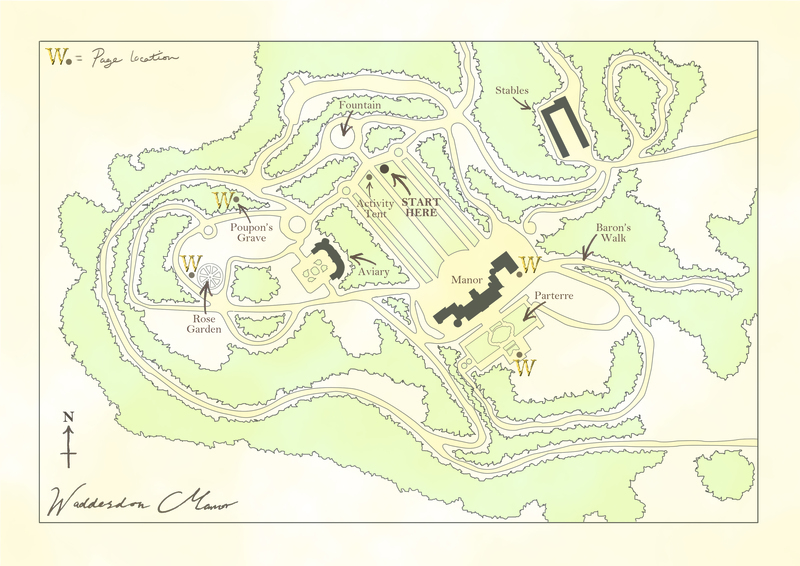 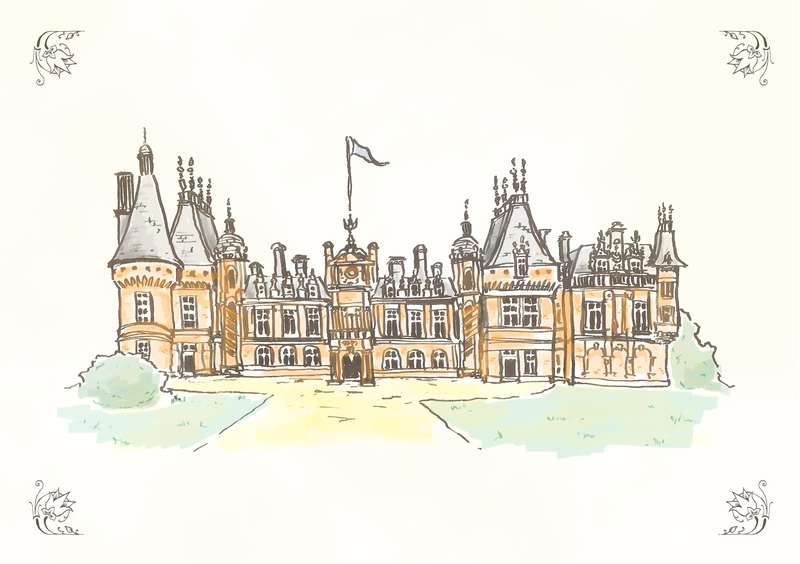 Guests were given an invitation including a letter, a map and a reminiscence page, which gave them the clues needed to find the rest of the elusive pages, scattered around the grounds at Waddesdon Manor. 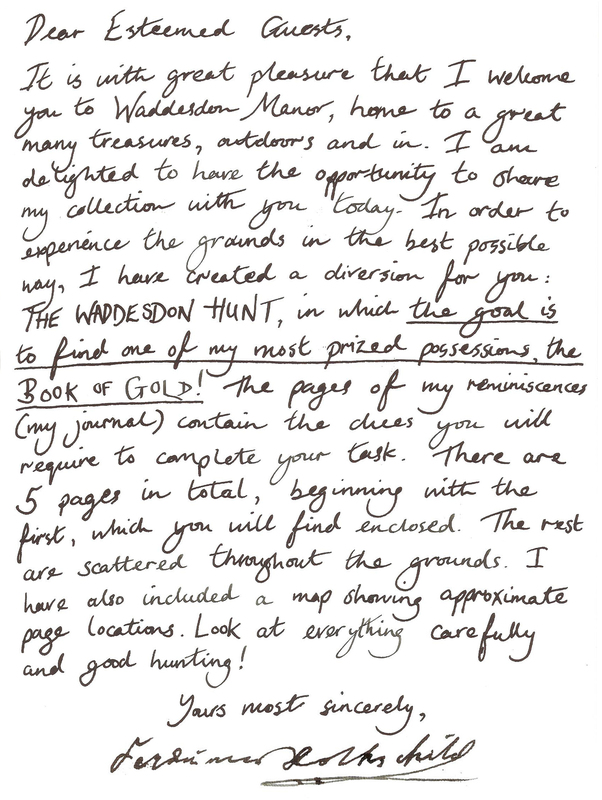 After making their own artwork in response to their day at Waddesdon, guests could finally meet the Baron to find the Book of Gold. 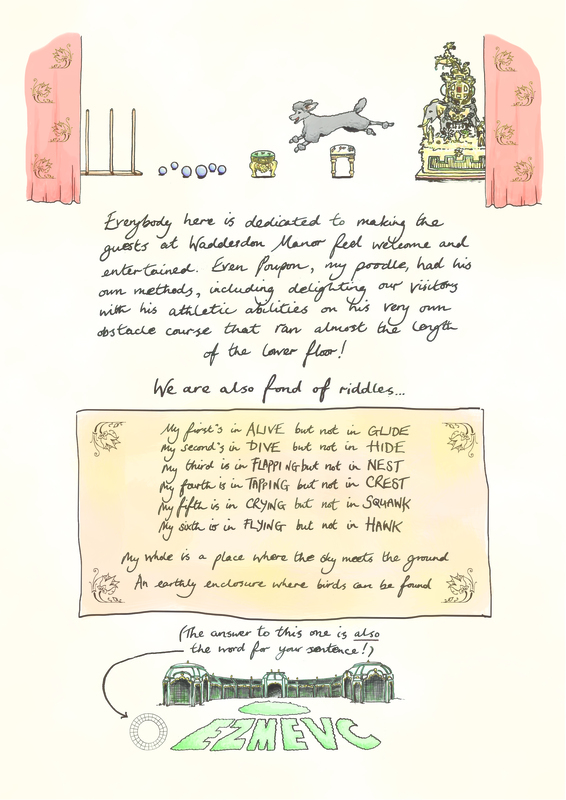 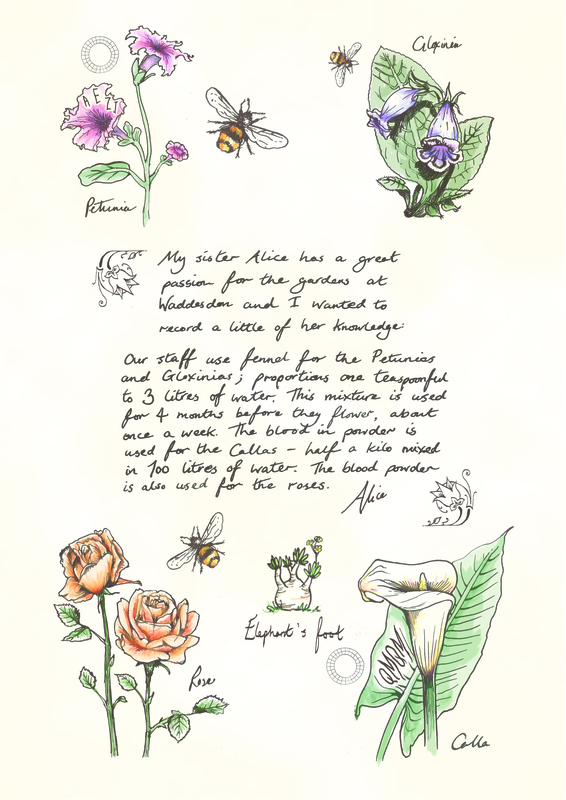 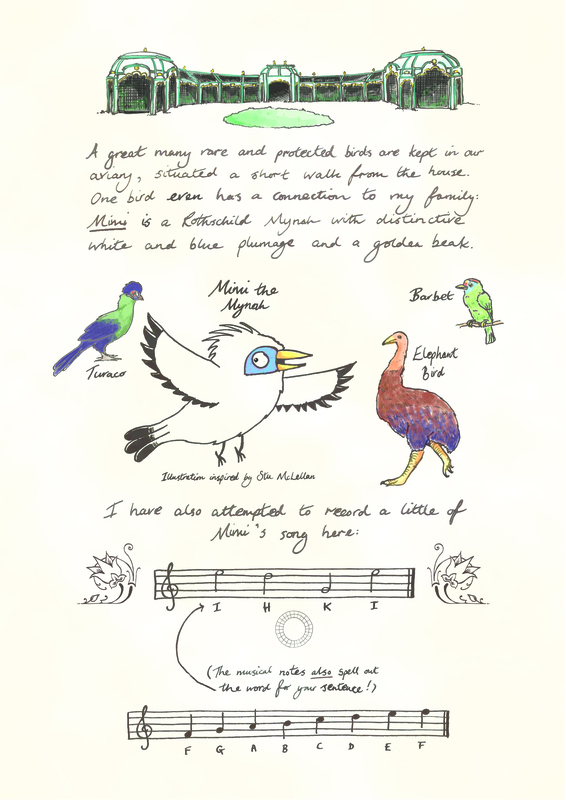 Their prize included a small printed illustration and the chance to add their own drawings to the book, which is now officially archived in Waddesdon’s ever growing collection of artwork.